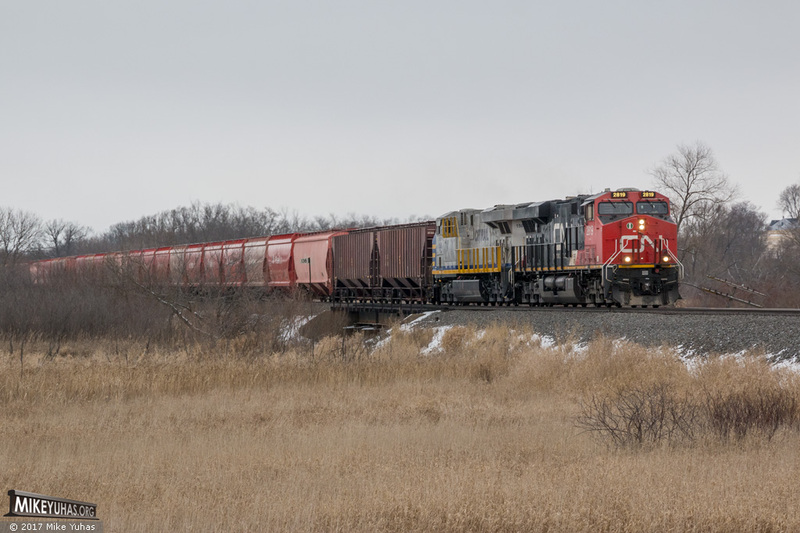 A loaded Canadian National potash train passes the Theresa Marsh, southbound on the Waukesha Sub. Details: train B79041-12; CN ES44AC 2819 & CREX ES44AC 1508 on the head end, and CN ET44ACs 3028 & 3059 as DPU; 108 loads and no empties; 15,280 tons and 5,670 feet. Potash is heavy stuff.